Chinese government is inviting application for international student scholarship to study in China Three Gorges University (CTGU ). Scholarship is open to Bsc. in Civil Engineering program, Electrical Engineering and Automation program and BBA program in English medium. This scholarship will cover all or parts of the tuition fees of these CTGU’s new English-medium programs to international students. CTGU accepts application from every February to June. Study Subject (s): Scholarships are awarded for studying Bsc. in Civil Engineering program, Electrical Engineering and Automation program and BBA program. Course Level: Scholarships are available for pursuing undergraduate degree at China Three Gorges University. -Applicants must be non-Chinese citizens with foreign passport and friendly to China. -Applicants should be in good character, hard studying, with excellent academic records and in good health. -Applicants of Undergraduate Scholarship are required, at least, to have an educational diploma equivalent to Chinese senior middle school education, aged 25 or younger. -The requirement of Chinese language proficiency is according to the applied field and the language medium of teaching. -Applicants should not be sponsored or awarded by Chinese government or other organizations. Scholarship Open for International Students: International students (non-Chinese) can apply for these scholarships. Scholarship Description: CTGU International Student Scholarship is established by CTGU, with a goal of encouraging more international students to study in CTGU. This scholarship is open to the applicants of CTGU’s new English-medium programs to international students each year. In 2013, this scholarship is open to Bsc. in Civil Engineering program, Electrical Engineering and Automation program and BBA program in English medium. Duration of award(s): The scholarship covers the tuition fees of Bsc. in Civil Engineering program and Electrical Engineering and Automation program during four years and tuition fees of BBA program in the 1st year. What does it cover? This scholarship will cover all or parts of the tuition fees of these CTGU’s new English-medium programs to international students. Notification: The applicants will be informed the result through email or mail. CTGU will announce the name list of scholarship winners and release Admission Notice in every July to August. 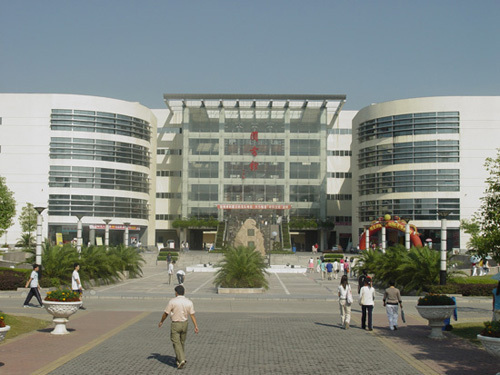 -Certificate of Chinese language studies and examinations (if any). Scholarship Application Deadline: CTGU accepts application from every February to June.